If you are a crypto enthusiast chances are you have heard about PakCoin. Standing strong since launch despite recent ban, we were curious to know about the brain behind this currency and what are their plans. Luckily we got hold of the main developer, Abu Shaheer, who is the mind behind Pakcoin architecture. We shot the questions and got some interesting replies. Have a read and enjoy. Clarity.pk: Can you briefly tell us what is Pakcoin? Pakcoin: Pakcoin is a cryptocurrency focused primarily on Pakistanis. Its goal is to bring cryptocurrency usage into real lives in a manner as easy as possible for a common man. When it comes to regulations, it can be regulated in terms specific to the entities dealing with Pakcoin such as tax returns filing on companies dealing with Pakcoins. For adoption of Pakcoin, businesses are offered a merchant payment system that incurs no extra charges on usage except a negligible transaction cost of upto 0.2 PKR. Clarity.pk: How Pakcoin was started? Tell us more about yourself. Pakcoin: I got inspired by this blockchain technology and eventually saw auroracoin (Icelandish coin) in 2014, and thought why cant Pakistan has its own cryptocoin. I started to research about the tech in late 2014 and released working PakCoin code on 28th May, 2015. The genesis block (very first block) was generated on 6th June, 2015 after testing the code. I started it all at my own with the help of Allah and launched on 2 exchanges cryptopia.co.nz and yobit.net later in the June 2015. Later other exchanges like novaexchange.com and tradesatoshi.com added PakCoin by themselves in early 2016. Abu Shaheer is the founding developer of Pakcoin and now he is leading the work with a team of developers in Lahore. Clarity.pk: How PakCoin is different than other cryptos, like algorithm efficiency, block generation speed, and scalability? Pakcoin: Pakcoin is derived from Litecoin with some modifications in its block time which is once per minute so its faster than Litecoin/Bitcoin and has 182 Million Total supply which would be generated in around 99 years in total. Its difficulty adjustment algorithm is also different which is Dark Gravity Wave. Regarding scalability, it has much room for transactions right now and doesn’t need to be upgraded for scalability, which would be done when needed. Clarity.pk: Tell us about the growth rate. Clarity.pk: What are the practical applications of PakCoin? Pakcoin: Right now, there are 15 merchants accepting Pakcoin, as listed on pakcoin.io. Anyone can use pakcoins as payment method with them. Moreover, there are discounted mobile topups being offered at Pakcoin eWallet using Pakcoins. We will be ready to get more merchants as soon as we release new payment system for merchants. 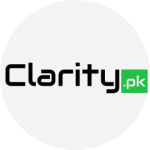 Clarity.pk: Do you have any backing of Angel Investors or VC’s? Pakcoin: No, we don’t have angel investors or VC backing up. We are supporting the project ourselves. Clarity.pk: Why should someone buy PakCoin living in Pakistan? Pakcoin: Pakcoin has got acceptance in Pakistan, though very less at the moment but it will increase as we are focusing on pakcoin‘s acceptance and adoption for Pakistani community. While the adoption grows, its worth should grow as well. One can use it as faster, cheaper, alternative payment method or as an investment tool because it is deflationary in nature so it’s value will grow with the passage of time. Clarity.pk: How did the ban affect PakCoin? Pakcoin: Actually there wasn’t any ban except SBP issued a notice to the banks to not to deal with crypto entities (SBP ban on CryptoTrading). That notice didn’t impact Pakcoin in negative way rather Pakcoin value appreciated after that. Clarity.pk: How do you see future of Crypto in Pak after the ban? Pakcoin: Crypto can not be banned as it’s decentralized. If there was any ban, crypto trading would get slower than in normal days but can’t be stopped. It’s better for the government to regulate it rather than banning it and giving users an option for alternative routes which won’t be traceable by the government. I suggest that government come up with it’s own crypto exchange for Pakistani users and keep an eye on malicious actors, that would be much easier for them than after the crypto ban. Clarity.pk: Do you still have individual agents buying and selling PakCoins? Pakcoin: There aren’t any ‘agents’ but users are trading pakcoins. Yes, Pakcoin is still being traded at international exchanges and locally but there is no data of local trade so i can’t quote the figures of local trading. Clarity.pk: Tell us about partnerships and listings/integrations? Pakcoin: Pakcoin is being accepted by the merchants listed on pakcoin.io. These aren’t partnerships rather they are accepting it as an alternative payment methods and some merchants also giving discounts on payments with pakcoin. Clarity.pk: What are your future plans for pakcoin? Pakcoin: Well, many things are in pipeline such as the next phase of merchants payment system, which has the capability today to support offline merchants. We also have planned to launch our own payment gateway for online merchants. In addition you will see bunch of upgrades in our wallet and a new trading platform. The projects don’t end here, we will keep struggling for easiness of use of pakcoin for ordinary people. Thank you for getting #Clarity with us on Pakcoin. Share and like the Tweet and FB post.